There are some things that you want to invest in to make your wedding day special and every moment memorable, and there are some ways where you can find things to cut down on expense. Wedding videography is one area where the investment is well worth the outcome. The moments captured of you and your new spouse sharing your vows, making the celebratory entrance into the wedding reception and spending the night dancing on the dance floor are ones that you will want to reflect on and share together forever. While the wedding day is full of anticipation of a well-planned event and excitement for a newly formed bond, this can sometimes lead the happy new couple to overlook or miss some of the moments that are captured on film with a wedding videographer. While wedding videography is an investment, the #1 regret brides have after their wedding is not hiring a videographer, according to The Knot. Thankfully there are ways to cut costs while still having a beautiful wedding so that each couple feels content choosing wedding videography as part of their wedding. Making homemade wedding favors is a fun and creative way to save money for your wedding videography. For those of you who are “craftily inclined,” go for it! You’ll love this because it is an opportunity to stretch those creative muscles and make something that has a lot of meaning to you. And, thanks to the creative blogosphere and wedding pinners on Pinterest, there are options for those of us who are not necessarily the craftiest individuals. If you aren’t ready do it by yourself, another option is to reach out to your friends and family. Every bride has friend or family member who is always working on a creative DIY project, stitching up a dress, or picking a new Pinterest project to try. Some people just have a gift and a vision for crafting, and their Instagram feed is filled with images that look too good to be real. It’s time to get them on your wedding planning team! It can become a fun activity for you and a group of your girlfriends. With the crafter leading the group, you can all get together to individually make favors. If you want to keep it personal or you don’t have a close friend who’s a crafting superstar, another great option is Google. Google is an endless resource, full of wedding planning tips, wedding planning advice, wedding favor how-tos and just about any other topic related to weddings that you can imagine. Take advantage of the numerous examples of brides making their own favors while keeping your own wedding theme in mind. One of our favorite ideas is these wedding plant favors, particularly the one with the envelope of seeds that your guests can use in their own garden. 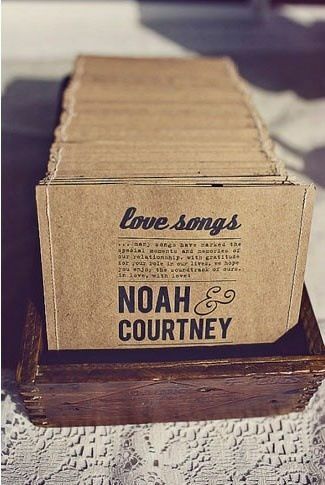 We also love this idea to make a playlist with some of the key songs from your wedding. This mix can include more than just love songs. Include a variety of both love songs, pop songs and songs that make you want to sing in the shower/car/dance the night away. And, if you need a few more ideas, here’s a top 10 list that we endorse. Saving money in one area of your wedding will be well worth it to have a wedding video that you can enjoy for years to come. Our wedding videography makes sure to capture all of the special moments from the wedding ceremony, heartfelt testimonies from friends and family and a night on the dance floor at the wedding reception. These moments are the moments you’ll want to reflect on as you build your life together. Click here to learn more.